Today I'm pumped to share an awesome recipe with you that's perfect for dining al fresco with a glass of crisp white wine. Or something other than wine, if that exists. I'm not sure. 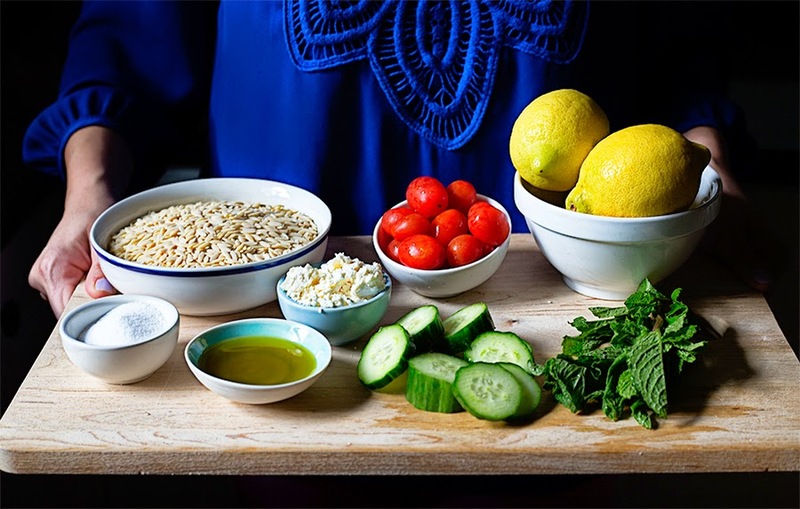 I created this Lemon Orzo Salad based off a combination of a few salads I've had in the past for a new project I'm working on with Homes.com. If you don't know about orzo, you totes should. 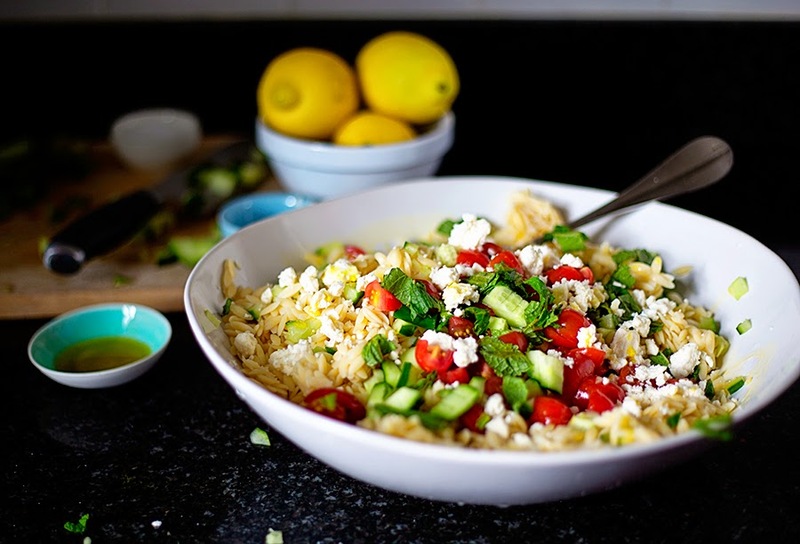 It's a rice shaped pasta that is super light and perfect to be tossed with fresh flavors like lemon, veggies and olive oil. 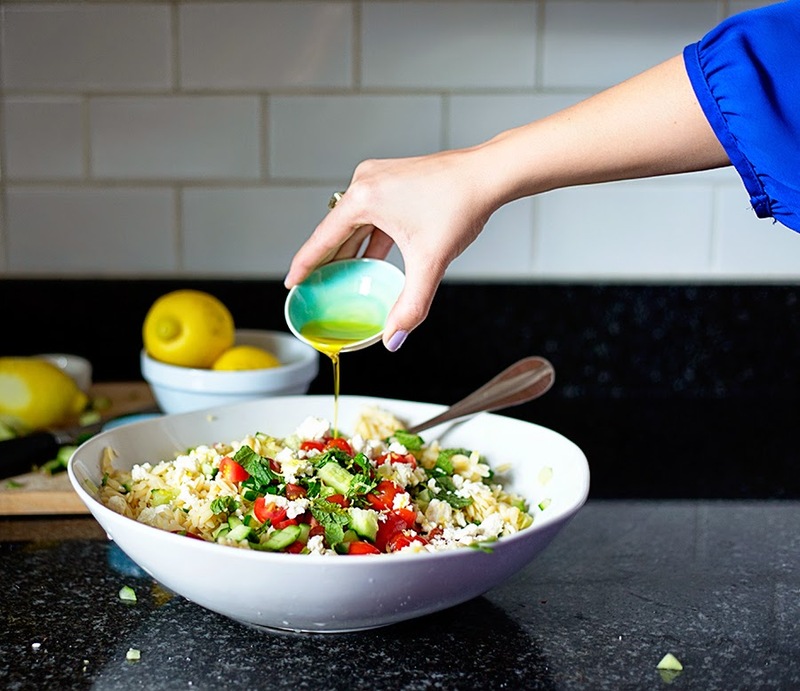 At the end, add your olive oil to coat and combine all the ingredients. 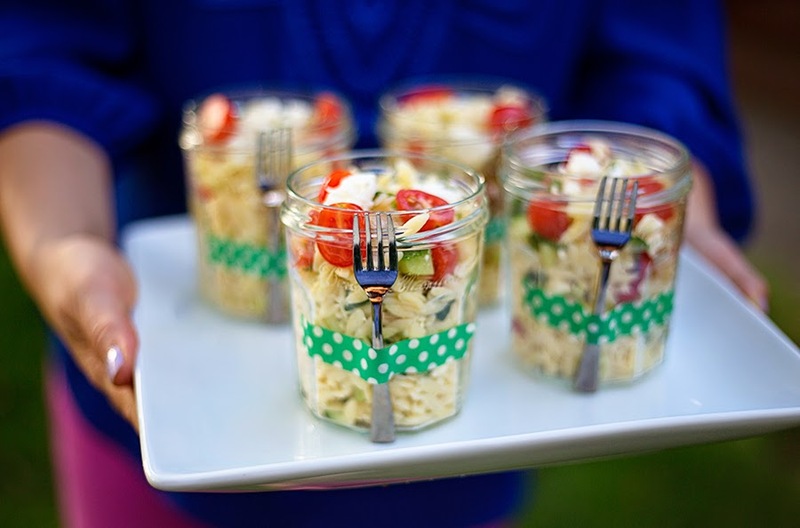 For a cute presentation, serve in individual mason jars with colorful washi tape taping the fork to the side of the jar. Alternatively, leave in the bowl and eat standing over your counter like a hungry animal with a fork. Your choice! This weekend I'm super busy with a rehearsal dinner Friday night and a wedding Saturday night (both for the same couple). I'm excited to see how everything turns out and will be back with a full report next week! Hope you're weekend is chock full of fun, food and wine.